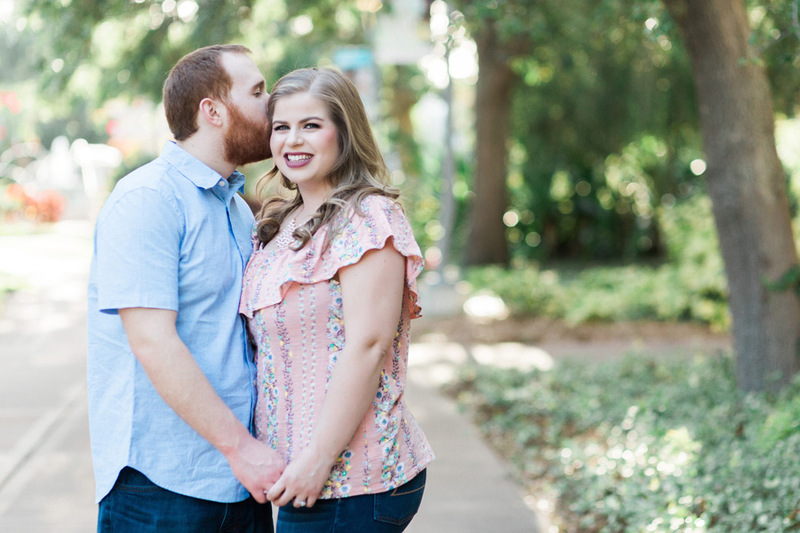 Amy + Garrett are engaged, and planning a wedding at Hotel Zamora in St. Petersburg early next year. 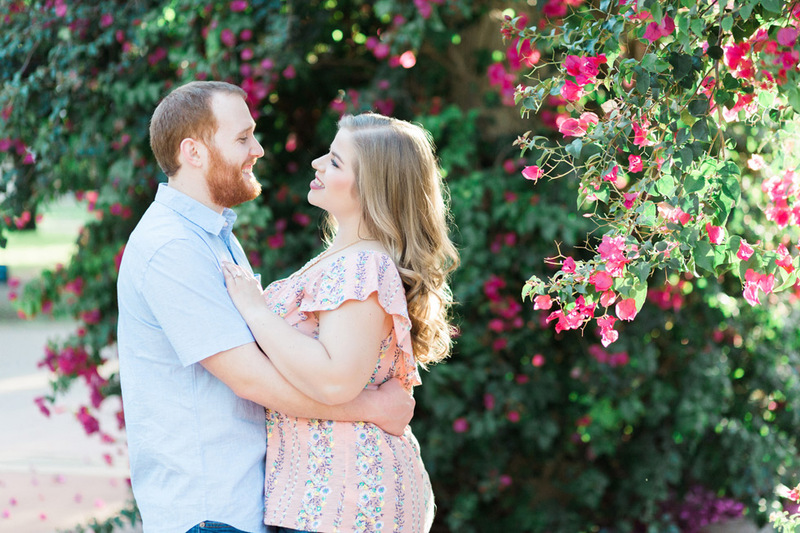 This sweet couple recently met up with our Master Photographer Cornelia in downtown St. Pete for an engagement session, and they totally rocked it! 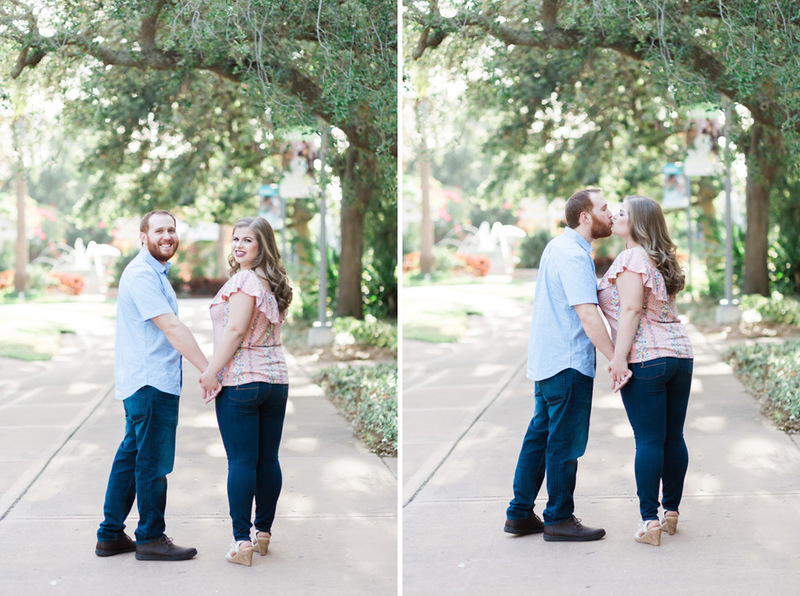 We are loving all these amazing images of Amy + Garrett together, and we’re so happy to share some of our favorites here! We are loving how happy these two look together. Amy’s smile totally lights up these images! We love all the gorgeous bougainvillea plants around downtown St. Pete! They make for amazing pictures – and these are no exception!